A few years ago Everybody Soccer compiled a roundtable discussion aptly titled, Goalkeepers Discussing Goalkeepers. This year we return with a similar format but dive into the state of American goalkeeping prior to MLS's startup. Five goalkeepers with hundreds of collegiate and professional games from their career weigh in on the differences between the modern game to when they started playing. Before you started playing professionally, who were goalkeepers you looked up to? Mark Dodd (Duke University, FC Dallas): Well I think when I was really young, I’d probably have to say Peter Shilton. He just seemed like he was really “the guy” for England and seemed to have the whole game together. Then after that, I liked Toni Schumacher from Germany. He was such a big personality and just so dominate. Maybe technically not the same as Shilton but just such a dominant figure. And really I guess if I had to rank one the highest, it’d have to be Peter Schmeichel. You talk about a guy who really had it all. He played at such a high level for such a long time and he seemed to come up with these magnificent saves year after year. He was pretty special. I tried to have all the elements and all the aspects of the game down, whether it be the technical abilities of saves or crosses or reading the game or distribution. There wasn’t one goalkeeper I molded myself after, it was probably more so that I would take the best things from each one of them and try to incorporate that into my game and just make it my game from there. Justin Bryant (Boreham Wood FC, Orlando Lions): The first goalkeeper I looked up to was Winston DuBose. I was a Tampa Bay Rowdies fan, and watched every game on TV and quite a few in person at Tampa Stadium. What stood out about him at first was his acrobatic shot-stopping. When I got a little older, and especially when he became a teammate, I came to appreciate more subtle and advanced aspects of his game, like his communication and distribution. He was also a dominant cross-catching machine. But in those early years, when I was a kid, it was all about the spectacular saves. Watching Winston made me want to run out into the backyard and start diving around - and that's usually what I did. I also had a soft spot for Ray Clemence and Ubaldo Fillol. It was more difficult to see them play, this being long before the internet, but I saw Fillol for the first time in the 1978 World Cup Final, which was the first soccer game I watched from start to finish. I became a River Plate fan because of him. And although I wasn't a Liverpool fan, I loved watching Clemence play whenever I had the chance. I think what all three had in common was a presence in goal, a confidence they exuded through their body language. That was something I tried to emulate even as a kid. Scott Garlick (Tampa Bay Mutiny, Colorado Rapids): I watched Toni Schumacher of Germany, Peter Shilton of England, and I had a poster of Jean-Marie Pfaff, Belgium’s great goalkeeper of the 70’s and 80’s. They were all amazing shot stoppers who imbued an amazing sense of confidence in their respective teams. Mike Ammann (Kansas City Wizards, NY/NJ MetroStars): Before I became a pro I did the only thing I really could and that was watch video tapes. Yes VHS, I'm that old. *laughs* I didn't really become a goalkeeper until I was 13 as I was too busy trying to score goals. My brother Bob was a goalkeeper so I can say I learned about the position through watching him play games. But it wasn't like I was studying the position back then. My brother and I had a highlight tape of the 1986 World Cup in Mexico. It showed goals and saves and it was something that would always get me fired up about playing in goal as it was around the time I started playing. Walter Zenga, Jean-Marie Pfaff, Pat Jennings, Zubizarreta, Toni Schumacher and Peter Shilton were the top goalkeepers that I enjoyed watching at that time. All had different traits and skills but all in their own way inspired me. We had an instructional video of Peter Shilton that I must have watched 1000 times. 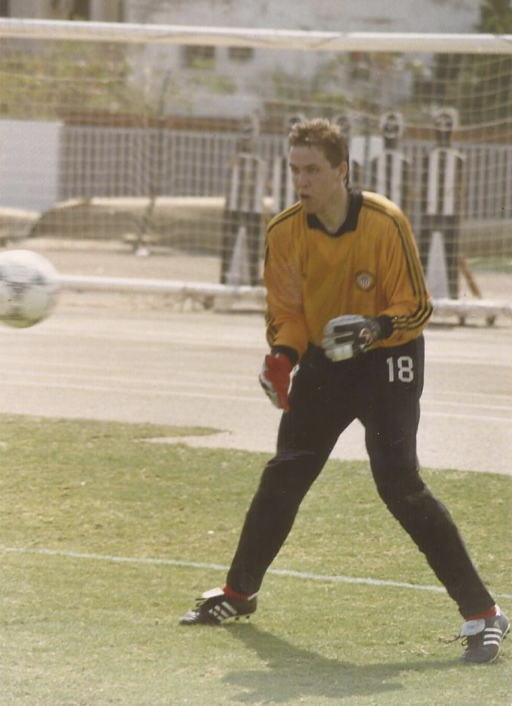 Kevin Hartman (UCLA, LA Galaxy): As I grew up, there were quite a few goalkeepers that I admired. Usually they had a presence that drew me in and the effectiveness of their play made me continue to follow them. Goalkeepers such as Peter Schmeichel, Harald Schumacher, and Michel Preud'homme were the goalkeepers in Europe that I tended to follow the most. They were technically astute, fearless and demanded the respect of everyone in a stadium. In Central and South America, I was intrigued by Jorge Campos, Rene Higuita, and Faryd Mondragon. I knew that the future of goalkeeping involved playing off the line at moments and those keepers understood the game as well as most field players. I appreciated that and the shortcuts that they were able to access with that knowledge. We were also in a golden age of goalkeeping in the United States, when there was a real sense of pride about where our goalkeepers stood in relation to the world’s best. 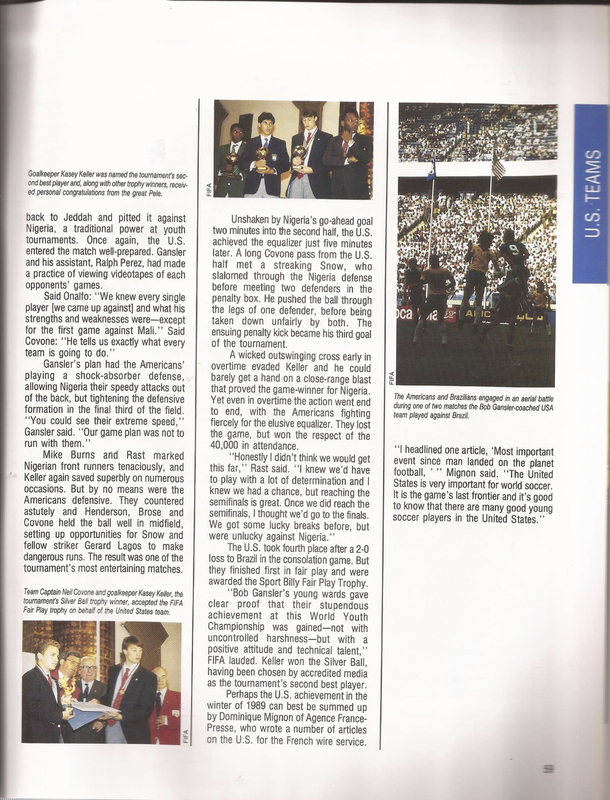 Keepers such as David Vanole, Kasey Keller, Brad Friedel, and Tony Meola provided a technical blueprint of what American Goalkeepers were about. Who was the first goalkeeper coach that really opened your eyes to the position? Bryant: I came of age as a player before goalkeeper coaches were common. At Radford University, we had Don Staley, who had been a goalkeeper himself. The best thing Don did was give the Radford goalkeepers a sense of identity, a pride in simply being a goalkeeper. Mark Dillon, the Orlando Lions manager, was not a goalkeeper coach, but he knew a great deal about the position, and made me think of it more in terms of helping your team, rather than playing for yourself. The first real goalkeeper coach I had was one of the very best, Alex Welsh. When I was at Borehamwood FC, Alex invited me into the small group of London-based professional goalkeepers he trained. I was usually in a group with Paul Heald of Leyton Orient (later Wimbledon) and Tony Parks of Spurs. Our sessions were irregular - whenever all of us had a free morning or afternoon. Alex trained us at the Douglas Eyre Sports Centre in Walthamstow, North London. I had probably fewer than a dozen sessions with him in total, but he completely changed the way I thought about the position. Alex, I believe, had learned primarily from the former Arsenal goalkeeper Bob Wilson. His sessions were the first time anybody had ever instructed me technically, regarding proper footwork, set position, hand position, etc. But what really opened my eyes was Alex's approach to the goalkeeper's mental and tactical preparation. He stressed that a goalkeeper's job was to reduce or eliminate the opponent's chances to score before a shot was taken, primarily through proper communication. I should also mention the player-manager I had at Borehamwood, Harry Meikle, who played as a center back and absolutely demanded that I communicate constantly throughout every game. It quickly became second nature. Garlick: The first true goalkeeper coach was Phil Parkes, formerly of West Ham, Ipswich and QPR, who I met at a soccer camp growing up and who remains a friend to this day. I also had some non-goalkeeper specific coaches such as Luis Dabo, who helped me at an early age. The true soccer coach focused on technique, angles, and starting position, which will never change. Ammann: I had the luxury of having my brother come to Cal State Fullerton and coach me my sophomore year following his professional career. Having a dedicated goalkeeper coach is essential as they are not just providing training but the constant reminders of your technique. Having a former pro who understands the little things that make a big difference and doesn't allow you to get into bad habits was critical to my growth during college. During college I also met Zak Abdel who had arrived from Egypt. Zak was fantastic to work with even though I was never more tired or sore than after one of his sessions. He put power into my game. He focused on being brave, aggressive and explosive. Every session was a challenge and between my brother and Zak they prepared me for life at the next level. At the professional level I had 2 goalkeeper coaches that were influential for me, Alan Mayer and Phil Wheddon. Alan was not just a coach, he was a friend, father figure, and mentor. He was such a good athlete and worked with me in a racquetball court, tennis court, boxing, and the gym to become more athletic in my movement and footwork. He was extremely committed to helping the goalkeepers and was fun to work with. Unfortunately I didn't have more time to spend with Phil. Phil was a master at planning training sessions around what you needed and always had us sharp. I had the luxury of playing with a young Tim Howard at the time and we could not have been more different goalkeepers/athletes. Tim was just slightly more athletic than me *laughs* and you would think that would be a challenge for Phil to tailor sessions to meet both of our requirements. He was the master of it. I was more about positioning, organizing and reading the game. If I tried to play the same way Tim did or if Phil coached me the same as him I would have failed. He could work on the same topic but have different coaching points for each of us. He was extremely creative and taught me a lot about preparation and being ready to play. Hartman: When I first started playing the position around 12 years of age, I was hooked. I sought out specialized training and it was not easy to come by in Southwest Virginia. I learned that Dr. Joe Machnik’s No. 1 Goalkeeper Camp would come through my area once a summer, and I lived for that brief five day period. The coaches were inspirational and pushed me to new levels. The curriculum of the camp was well laid out and addressed everything from proper techniques to the tactical situations in which they would be used. I owe a lot to that staff and the lessons that occurred both on the field and in the classroom. 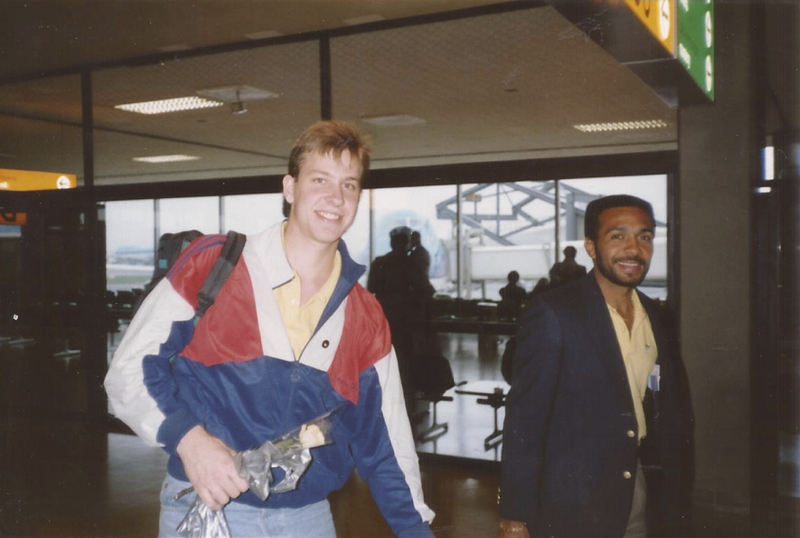 When I moved to California, I had the opportunity to train with David Vanole, one of our Olympic and National Team goalkeepers at that time, regularly. He enjoyed the game as much as any human that I’ve seen play. He was larger than life, passionate, and was able to get so much out of the other players on the field, I wanted to understand how he was able to do it. Whether it was a compliment, a sarcastic quip, or an emphatic shout, he knew the buttons to push for every player that he worked with. Dodd: I would probably say that guy would have to be Eric Vaughter. Eric was my goalkeeper coach at Duke. I was fortunate that I had a lot of head coaches that happened to be former goalkeepers so I got a lot of the fundamentals down. I had a lot of guys give me the basics for sure. But when I got to college, Eric was really somebody that was more than a coach. He was more a mentor and is still now a close friend. He just really instilled in me, I guess if nothing else, [the mentality of] “you’re the last line here and you have to take charge.” He really got us to embrace that so that when the game was on the line, and as I got later on in my career, I wanted that responsibility. He also really taught me how to work. I mean, hard. It was tough. He really pushed us to a level that *laughs* I’m not sure you could do in college anymore. What is the difference in goalkeeper training from when you first started compared to now? Garlick: There is a lot more thought in it now, which I am not sure is so great. I think sometimes we are turning goalkeepers into “robots” a bit, when the truly great ones play the position by a combination of technique, tactics and instinct. In other words, we have improved training “drills” over the last 30+ years, yet Gordon Banks, Peter Shilton, Schumacher, Pfaff, could all play today, assuming they worked on their feet some. The position is about being a backstop to the team, now infused with the ability to be good with your feet, a leader, and someone who can begin the offensive portion of your team’s game. Goalkeepers now seem to be getting physically bigger, with an emphasis on making the spectacular save. Ammann: How has goalkeeper coaching sessions changed since I played is a great question and I think you will get many different answers. The beauty of goalkeeping is that there is no ideal as much as people want to think there is. In your mind you can wish for a goalkeeper that is 6'4, powerful, fast, agile, great with both feet, a leader, communicator, calm presence, great teammate, great in training, off the field leader, etc etc. Well good luck finding it. Goalkeepers come in all shapes and sizes with various skill sets. That to me is why it's so great. The best goalkeepers I have seen and coached are the ones that are the best athletes. I encourage kids to play multiple sports for as long as possible. Playing basketball, volleyball, lacrosse, tennis, jumping on a trampoline in your backyard, anything at all is going to help you become a better goalkeeper. Kids with hand-eye coordination and core strength and balance are always going to have a shot at being successful goalkeepers. I don't think any one sport is going to hurt your abilities to become a better goalkeeper. I don't agree that you need to specialize in a position or sport until it's time for college. You can argue that the best goalkeepers the US has produced in years past were multi-sport athletes. The US has been the leader in producing goalkeepers on a global level and that is because of the variety of sports we play growing up. I'd hate to see us get away from that and I personally encourage parents to allow their kids to enjoy as many sports as possible to avoid burnout but to also allow their child to figure out what their best sport or most favorite sport and position is. 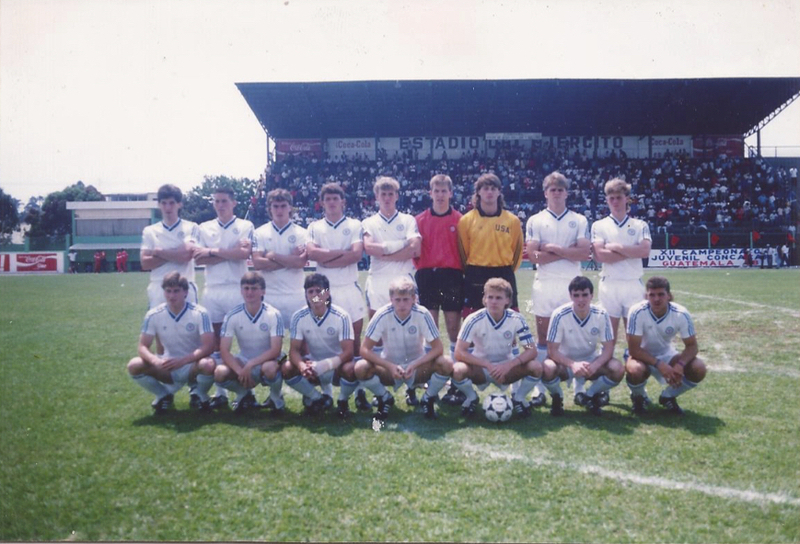 Hartman: When I began playing goalkeeper in 1984, goalkeeper training was in its infancy. The resources were few and far between. I was happy to have been able to find a few books at the library! At that time, America’s youth were playing multiple sports and many of those involved hand-eye coordination. Our youth had a head start over goalkeepers from many different countries based on the fact that we were playing baseball, basketball, and football. American goalkeepers also reaped the benefit of a number of prominent goalkeeper camps looking to find a leg up in a competitive niche market. The lengths of the days got longer as each camp wanted to be the one that offered more hours, the quality of the special guests rose, but the revamped quality of the goalkeeping information was transformative. Many nuanced approaches from top European academies were introduced to young American goalkeepers in the early and mid 80’s. The elite goalkeepers that found themselves with a special coach, were well positioned for a long run professionally. US goalkeeping thrived in that era, as well. Goalkeepers such as Kasey Keller and Brad Friedel became heroes in the Premiership. We have struggled to relay the lessons from generation to generation within US goalkeeping. The lack of any national goalkeeping direction since 2007 has left our country in a position where we are hoping that Tim Howard, who is now 38, can stick around for another World Cup. A country that was once regarded as the best country in the world at producing goalkeepers is losing our position. In a domestic league that once scoffed at the idea of going abroad to search out a more highly paid goalkeeper now sees that as a necessary solution. Both Atlanta United and Minnesota United went international as they began developing their goalkeeping corps. That speaks directly to the current state of domestic goalkeeping. With that said, the expertise to change our course exists. The game has evolved and goalkeepers must be trained differently, by a coach with relatable experiences. Many similar lessons must be relayed, but the process is much more dynamic. With periodization, GPS, and heart rate monitoring, the coaches have adapted to working hand-in-hand with the physical conditioning experts. Training itself is more refined. From a technical warm-up to a scenario-based exercise to match play, the flow is more seamless. Vision training, cross training, and goalkeeper-specific plyometrics are a part of every top keeper's regimen. Goalkeepers spend much more time playing with the ball at their feet and nutritionists have now not only nixed many of the post-game libations, but defined the focus of preparation and performance in new ways. As the game develops further, the need for additional collaboration between the head coach and the goalkeeper coach, in terms of more of a total team training concept, increases. When I started playing the position, I trained alone with my coach, and more and more moving forward, that the coach and goalkeeper and team will train together. Dodd: I think it’s evolved. I wouldn’t say it’s drastically different but there are areas that have evolved, just like the game has. But I would have to say that really in years past, goalkeepers spent a lot of time with ultra-high repetitions and things like that. What I think what we’ve realized now is that the goalkeeper’s position, why certainly you want to be in top shape, is about short bursts, agility, and quick movements. I never in a game probably ever had more than four saves in a row, quick back-to-back. I think now the focus is, and should be, on quality repetitions. Working on your quickness and explosiveness and agility, instead of ultra-high repetitions. Bryant: Goalkeeper coaching became more common later in the 1980s. People like Joe Machnik and Tony DiCicco built companies around goalkeeper camps. I think the biggest difference between then and now is that now we try to make coaching much more game-realistic, whereas back then, the idea was training goalkeepers in a very high-volume, high-intensity workload. Lots of drills were designed to work the goalkeeper into exhaustion. That's something I've gotten away from, as I don't feel it reflects the demands of match-related actions, and puts the goalkeeper into a physiological state they are never in in matches. Of course, goalkeeping itself has changed dramatically since the 1980s, primarily because of the back-pass law. So now we train goalkeepers to use their feet much more, and to be an integral part of playing out of the back. This means making sure they are comfortable not only playing passes, but receiving them under a degree of pressure. I train goalkeepers in isolation less than before. Now, I make sure that in addition to working with me as a group, they are integrated into team training with the outfield players. I'll never get away from coaching the primary responsibility of making saves, but the demands of the modern game mean they have to be able to play with their feet. And they have to train together with the back four, under game-realistic pressure, if they are going to defend effectively as a group. Outside of having more goalkeeper coaches available, is there something you wish you had at your disposal that the modern goalkeeper has now? Ammann: The biggest thing I wish I had when I was playing was access to video. Watching video of training sessions was not an option and we were lucky if we watched game footage. The video doesn't lie and for me, personally, that is how I learn. I'm a visual person and when someone tells me I'm diving backwards I may not understand it. But show me on a video that I'm diving backwards and it all makes sense and I can quickly make adjustments. I've used everything from iPhones, GoPro and even a drone in filming sessions that I coach now and they all are able to provide a different perspective to the player and most times instantly provide feedback. Hartman: A crack at this expanded salary cap! *laughs* No seriously, as a goalkeeper, I always spent loads of time watching video. That usually entailed watching the game with a remote and a pad of paper. I’d jot down the times of important actions and then create for myself a video recording based off of those edits. It took forever! Today they have video editing programs that allow you so much more information with the click of a few buttons. I believe that if I had that technology back then, I’d have had enough time to have learned to play the guitar. Dodd: From a standpoint of equipment, I wouldn’t say there is anything specific. I mean, believe it or not, the glove foams are virtually identical. In fact the boots and the cleats, the guys are going back to more of a traditional, especially goalkeepers. Six studs, no blades or fins or anything like that. They’re going back to more of the tried and true that works. I think looking back in hindsight, I would have focused on different training aspects, different training elements. Worked more on some things that can simulate the game as much as possible. Having said that, I definitely think there have been a few significant changes in the position over the past 10 or 15 years. [One of the two changes] that stand out to me are, without a doubt, crosses. You just don’t see goalkeepers coming for near the amount of crosses that players had to in earlier days. Players are encouraged to put a lot more bend on the ball and make it more challenging for goalkeepers to come out. I also think that, like in any sport, players are getting bigger and taller, defenders are getting bigger and taller. So if your back line is full of guys who are 6’3”, you don’t need to come out for those crosses anymore. So I think it’s definitely shifted the goalkeeper position further back on the line. The other thing that happened from my early days in MLS to now is through balls and breakaways. You rarely see, with the exception of Manuel Neuer or someone like that, goalkeepers coming off their line to beat them to the ball. It just doesn’t happen much anymore. As players get faster and physically quicker, your defenders and so forth, you have a higher amount of defenders with speed. It used to be that a number of defenders were positionally really sound and strong guys but now they want them to have a lot of speed as well. So that really negates some of through ball opportunities. I think the other thing that the goalkeepers have realized is that that’s a really risky proposition. When you’ve got a through ball or a 50-50 or whatever, and the goalkeeper has to come out and go down at a guy’s feet, he’s leaving his line. And if he’s even a split second off, that’s it. It’s a tap in. This is a very subtle small thing that I’ve seen change, and it’s actually something that I was a proponent of, and certainly playing in Dallas where it was very dry. In England, the grass has a little moisture on it, whether it be rain or intentionally. They would try to get it where there was just enough skips on the ball to be played over the top so it doesn’t run away or it doesn’t check up. Playing in some dry conditions in the states, that’s something that would make the through balls all the more difficult. A guy would play a through ball, maybe with a little back spin or whatever, and not only did you have to factor the weight of that pass, the speed of that forward, and the timing, but what was it going to do off the ground? If you’re playing somewhere where it’s a little bit sticky grass and it checks up on you, huge advantage to the forward. Whereas now, the groundskeepers will put a little water on the field before the match, or at halftime, to have the right amount of skip and pace. I think that’s a good thing, it keeps it faster. But just things like that kind of evolve and keep the game evolving. So in some ways, I think looking back, I think some of the more difficult things for the goalkeepers were having to time these crosses. I can’t remember, we used to keep a stat of catches and punches. I think I had some ungodly amount my first or second year [in MLS]. You know, 170, 190. That requires a really high level of timing and precision. Same thing with through balls and breakaways. So I think that was a little more challenging. I think in today’s game, goalkeepers are facing closer range shots. Specifically balls that get down the wings or players get in and take a defender on and pull the ball back across and you’re literally getting these point blank, quick taps, or flick headers. I think that’s definitely more challenging for the guys now. Having said that, I think that they’re almost coming a little more like hockey goalkeepers. You know, it’s very reactionary. Quick reflexes and agility are paramount. So you know, it’s not to say that one year was more difficult or more challenging. I think they all have their challenges. But the position is evolving. 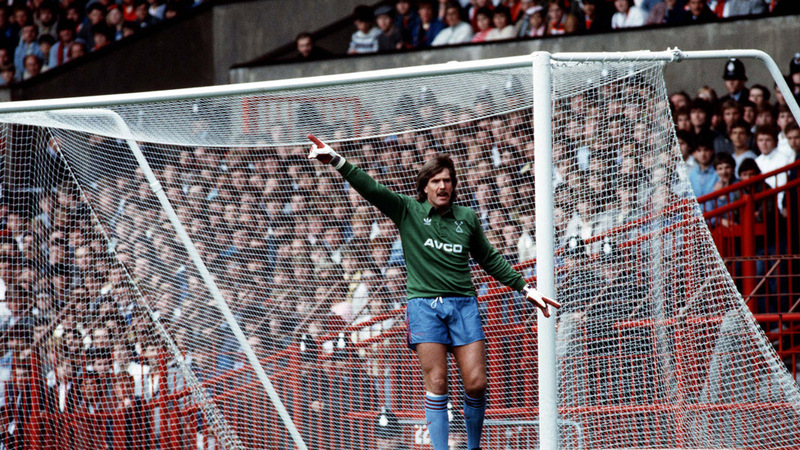 Bryant: The main thing I wish we'd had back in the 80s-90s is the video technology goalkeepers have today. It is very easy to spot technical flaws these days: just stick a GoPro behind the goal and watch the footage in slow motion. I would have loved to have been able to do that. I think it would have made a real difference to my performance. It would have been great to have been able to watch my games on video, too, to analyze my decision-making, but almost nobody videoed games back then. I have just one full 90-minute game on video from my playing days. I'm also envious of all the sports science and nutrition advances. We really didn't know anything about strength and agility training, eating for recovery, or the importance of diet and sleep to performance. I was fortunate to never suffer any serious injuries, but I could have benefited greatly from modern strength training. Finally, I'd have loved to have had lightweight, climate-specific performance fabrics, especially cold weather gear for my seasons in the UK. Garlick: No, growing up in the age where using one's feet was important, this was a vital skill during an important transition in the modern game. Strength training specifically dedicated to goalkeeper movements would maybe be one thing I wish I would have had when I was playing. Last week the National Soccer Hall of Fame released their nominees for the 2017 class. The ballot contains six hopeful goalkeepers, most notably 1999 World Cup legend Briana Scurry, looking to join the ten goalkeepers already enshrined in the Hall. The Hall has an odd history with goalkeepers. Originally they were quick to induct goalkeepers, seeing seven goalkeepers inducted over the first few decades. This created a nice representation of the top goalkeepers in a variety of generations. However after 1976, goalkeepers struggled to make the cut. In the last 43 years, only three goalkeepers have been inducted that would otherwise be largely forgotten. Although while goalkeepers were a hot commodity at one point, voters simply haven't known what to do with them since. Part of the reason for low goalkeeper numbers is due to, somewhat ironically, the lack of organization throughout the Hall's history. The 1960s saw a grand total of five players make the Hall of Fame, for example. Another reason is the voting process has recently pushed away from valuing club performance and almost exclusively leaning on the number of caps a player gained. Clearly this makes it tough for goalkeepers, as caps are harder to come by for them, but also any non-American players struggle to have the right eye candy voters want. The Hall did a wonderful job of including top goalkeepers from multiple generations but now it's resorted to more a checklist for the most capped players. If the Baseball Hall of Fame can enshrine a pitcher from every year of MLB, it seems reasonable that they can put one goalkeeper from each decade in the Soccer Hall of Fame. Since there are a million different ways to set a standard for the Hall of Fame, let's move on to the six nominees looking to make the cut. Does she belong? : Without question. She's the 1999 World Cup Champion with the iconic penalty save in the shootout final to set up the win. Plus, goalkeepers with 173 caps and two Olympic gold medals don't come along every day. If she's not good enough, no goalkeeper is. It's already inexcusable that one of - if not the - premier goalkeeper in the world has been passed on for three years. Outlook: Hard to say. In 2015 she just missed the cutoff with a handful of votes but she's been a "shoo-in" since her first year. (I couldn't find 2016 voting numbers.) There's not a very clear reason for why she hasn't been inducted outside of a poor voting system. Do they belong? Let me first stay that I am aware they are two different goalkeepers with their own careers. Clearly one chewed gum while playing in goal and the other did not. That said, they're in the same boat. Regardless that they have a combined 758 games (over 22 full seasons) and three MLS Goalkeeper of the Year awards, voters love the USMNT. Hartman and Cannon only combined for seven caps so if international performance is the bar to clear, they simply don't meet the criteria. However it's worth noting that their short international careers weren't due to poor performances but simply a crowded field. Legends like Meola, Friedel, Keller, and Howard managed to keep a number of MLS goalkeepers at bay. While they rarely were featured with the USMNT, Hartman and Cannon set a standard of consistency in MLS that has rarely been matched since their retirement. Voters need to consider what it would have taken for Hartman and Cannon to become worthy of selection. If it's earning more caps in the career by unseating more than one of the top ten goalkeepers in the world, that seems like an unreasonable bar to set for players. Outlook: It'll be at least five years if not closer to ten. Their best bet may actually be landing with the veteran committee, where they only need 50% approval of votes, not two-thirds. Does he belong? Onstad returns for his third year but the goalkeeper is no stranger to sticking around past everyone's expectations. The Canadian legend was playing everywhere he could before MLS came around. While he only has 57 caps for the Canadian National Team, Onstad's Hall of Fame bid is solely based on his play in MLS. He's one of nine goalkeepers to earn 200 starts despite being 28 when MLS finally started up, playing all the way until age 43. For a goalkeeper who obviously couldn't impact the USMNT, he's one of the most influential Canadian soccer players on the American game. Outlook? He didn't gain 15% of votes in 2015 and I think a mostly American-voting base isn't too fond of voting for Canadians over their own. My bet is he ends up on the veteran committee at some point and gets in then. Does she belong? Out of all the American goalkeepers from the early 90s, she had as good as career as any of them. Unfortunately it seems that playing for the USWNT just isn't as respected as playing for the men's team. Harvey earned 27 caps, only eight behind Arnie Mausser (2003 inductee), placing her sixth all-time with the USWNT. She played overseas when playing domestically wasn't an option, something very few American players did at the time. Harvey was the number one goalkeeper for the early 90s and started for the USWNT in their first World Cup win (1991). If a goalkeeper on the men's side earned on 27 caps but was the starting goalkeeper in their first World Cup win, I would imagine he'd have a strong chance of getting in. Outlook? She only received 19% of votes in 2004 and wasn't in the top five for the veteran's vote in 2015. If Scurry can't make it, Harvey's chances are most likely close to zero. Does he belong? I don't think voters have a good answer for wondering what a Hall of Fame career would look like for a player in the middle of the NASL collapsing. For someone that did anything he could to continue playing until age 38, his career is easy to forget given the time. Messing never earned a cap for the national team, which is fairly damning for nearly every Hall of Fame voter. But realistically Messing played in an era when the USMNT didn't mean anything. If the 1978 Cosmos team played the USMNT at the time, it'd likely be a toss up. So it's hard to criticize a player for not being a part of an organization when it didn't take itself seriously enough to warrant participation. 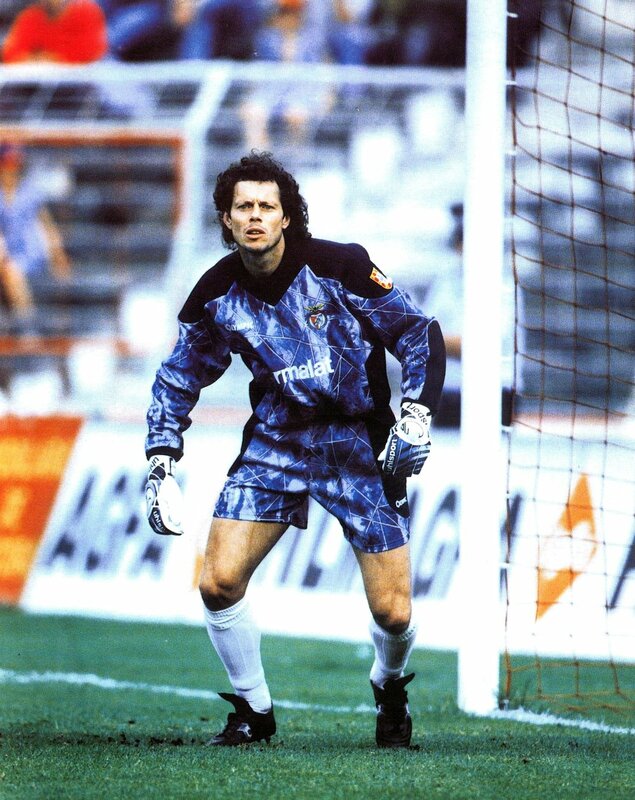 Messing is probably the most iconic NASL goalkeeper and it would be nice to have another goalkeeper from a forgotten era, which there is precedent for when looking at the first inducted goalkeepers. Outlook? Similar to Harvey, he hasn't had the support in the past and there appear to be more favorable names for the veteran's committee than Messing. He did earn 39% in 2015 (needed 50% to get in) but it was still fifth overall and they only approve one per year with the veteran's vote. At this point, if he hasn't made it yet he most likely never will. Peter “Pete” Renzulli (1951) - Goalkeeper who played for a string of American Soccer League clubs in the 1920s and won three U.S. Open Cup titles. Renzulli played in the original ASL from 1922 to 1930, for Todd Shipyards, Paterson, Indiana Flooring, New York Nationals and New York Giants. He won Open Cup titles with Robins Dry Dock in 1921, Paterson in 1923 and New York Nationals in 1928. George Tintle (1952) - Goalkeeper who was the first famous goalie in American soccer history, making Scandinavian tours with the U.S. National Team in 1916, Bethlehem Steel in 1919 and a St. Louis all-star team in 1920. Tintle played for a string of different teams during his career, including Harrison AA in the first two seasons of the original American Soccer League. Jimmy Douglas (1953) - Goalkeeper who played for the United States in both the 1924 Olympic Games and the 1930 World Cup. Douglas also played nine seasons in the original American Soccer League, for eight different teams. He played nine full internationals for the United States between 1924 and 1930, including both of the U.S. games at the 1924 Olympics in Paris and all three of the U.S. games at the 1930 World Cup in Uruguay. Stanley Chesney (1966) - Goalkeeper who played 17 seasons in the American Soccer League for the New York Americans. He won an ASL championship with the Americans in 1936 and the U.S. Open Cup in 1937. Although he never played for the full U.S. National Team, he gained the nickname “The International Man” for his frequent appearance for ASL selections against foreign teams, including three games against the touring Scottish all-stars in 1935 and 1939. Gene Olaff (1971) - Goalkeeper who played for the Brooklyn Hispano team that won the American Soccer League-U.S. Open Cup double in 1943 and took the Open Cup again a year later. Olaff, who played for Hispano from 1941 to 1953, was the premier American goalkeeper of the 1940s but played only one game for the U.S. Men’s National Team, which went 10 years without a game because of World War II. Frank Borghi (1976) - Goalkeeper who is often considered the top contributor to the United States’ 1-0 upset of England in the 1950 World Cup. 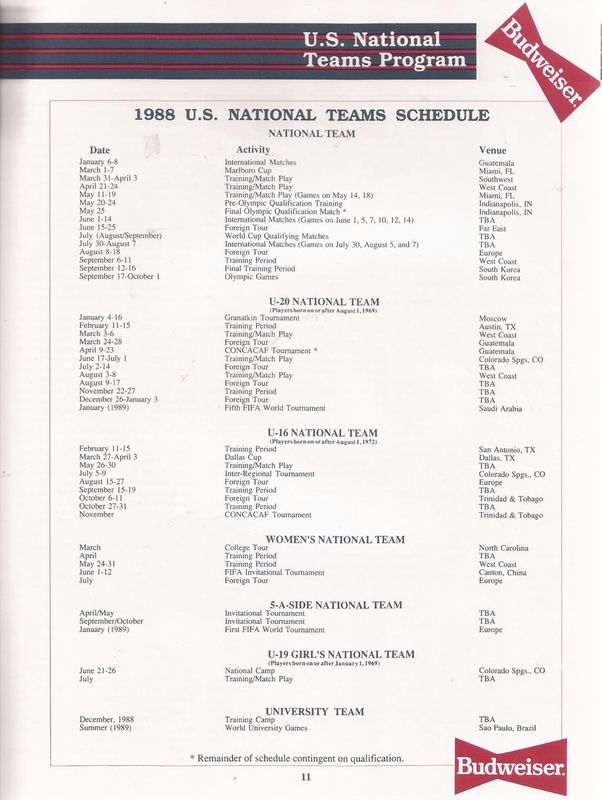 That game was one of nine full internationals he played for the United States between 1949 and 1954, games that included three in the World Cup and five more in World Cup qualifying. Borghi won numerous honors with several club teams in St. Louis, including winning U.S. Open Cup titles in 1948 and 1950 with Simpkins. Gino Gard (1976) - Goalkeeper who was a member of the United States squad at the 1950 World Cup in Brazil. Gard, who was born in Italy and whose name was Gardassanich before he moved to the United States, played from 1949 to 1959 for Slovak of the National Soccer League of Chicago. He reached the National Amateur Cup final in 1953 with Slovak. 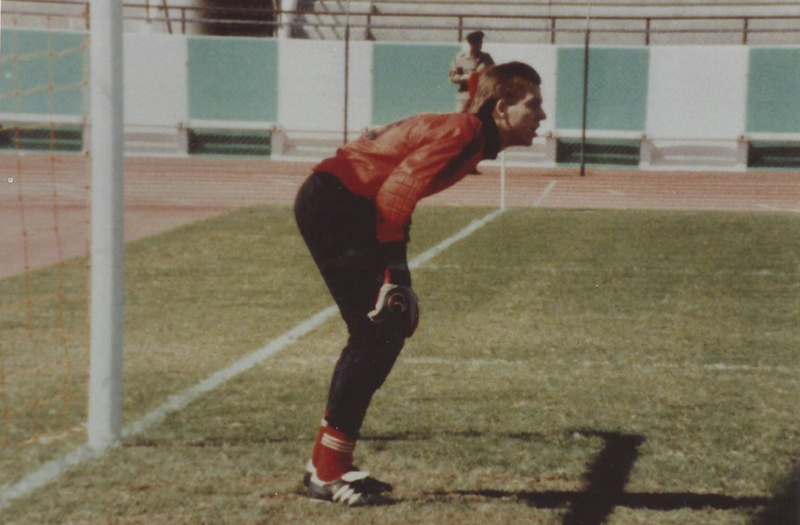 Arnie Mausser (2003) - Goalkeeper who played 10 seasons in the North American Soccer League and was the first-choice ’keeper for the U.S. Men’s National Team through most of the NASL era. 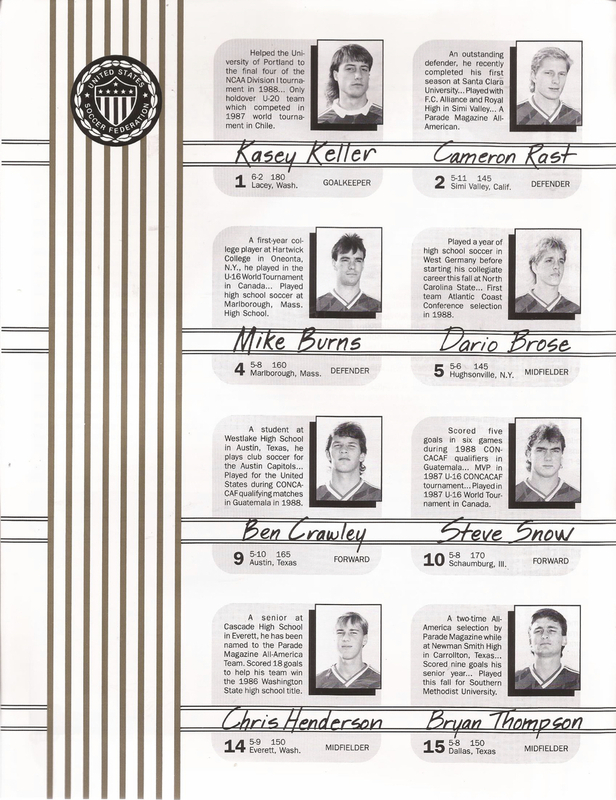 Mausser played 35 full internationals for the United States between 1975 and 1985, including 11 World Cup qualifiers. He played for seven different NASL teams and was the only American chosen as a first-team NASL all-star in that league’s last nine seasons. 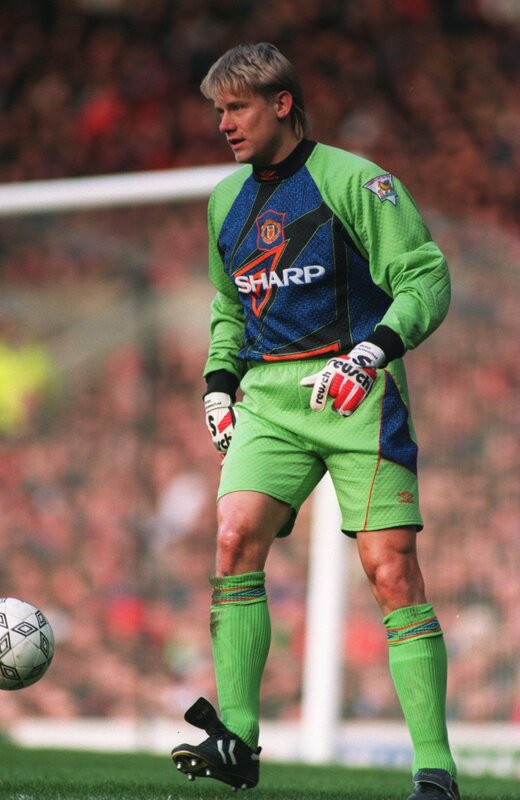 Tony Meola (2012) - Goalkeeper who was captain of the United States team in the 1994 World Cup. 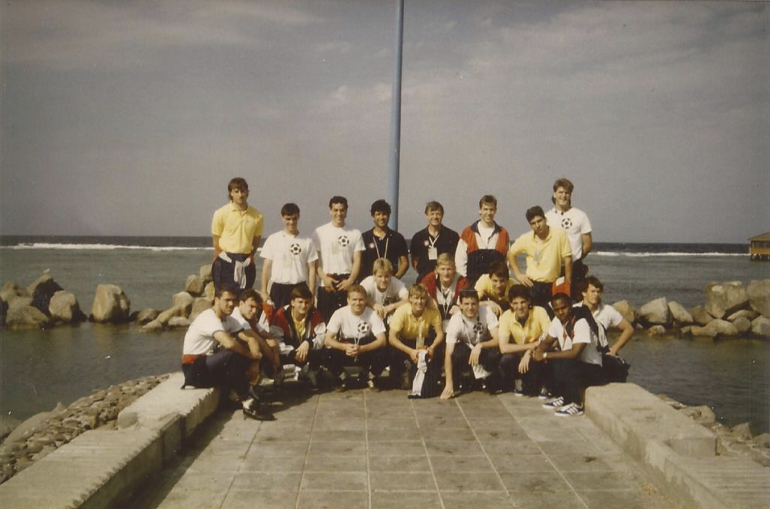 Meola played 100 full internationals for the United States between 1988 and 2000, including seven games at the 1990 and 1994 World Cups and five World Cup qualifiers in 1989 and 2000. Meola played 11 seasons in MLS, winning both a league title and the MLS most valuable player award with the Kansas City Wizards in 2000. Kasey Keller (2015) - Goalkeeper who started for the 1989 U20 World Cup team that earned a US-best ever 4th place finish. 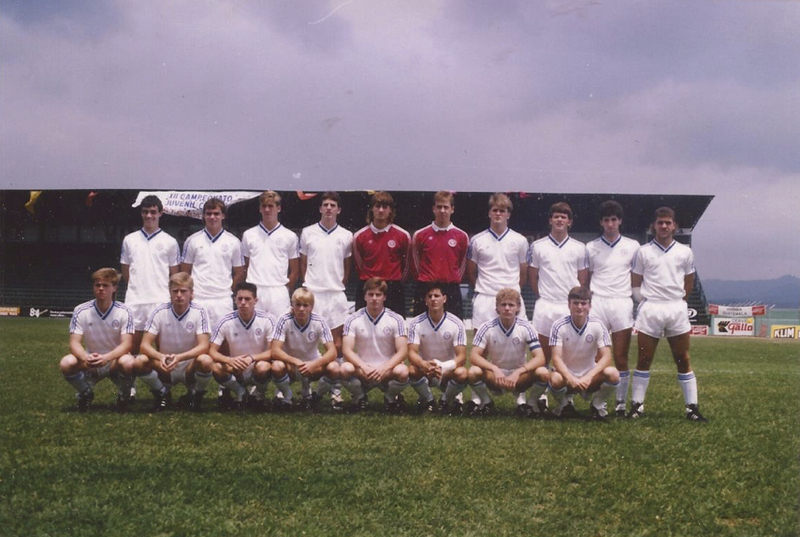 He would go on to earn 102 caps with the senior team from 1990 to 2007 and appear on four USMNT World Cup rosters. Keller was one of the first American players to have a successful and lengthy career abroad, playing for Millwall, Leicester City, Rayo Vallecano, Tottenham, and Borussia Mönchengladbach before returning to the Seattle Sounders for his final years, earning the 2011 MLS Goalkeeper of the Year award. 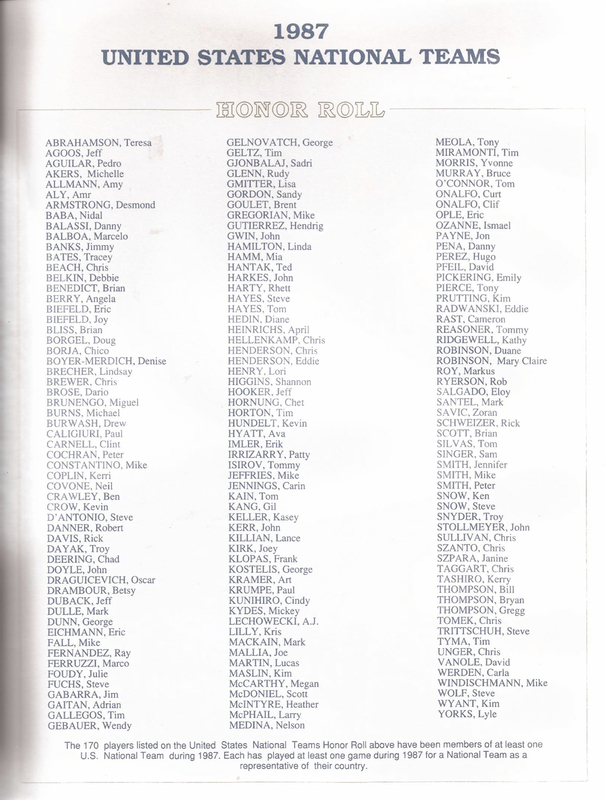 A full list of the Hall of Fame's members can be found here. 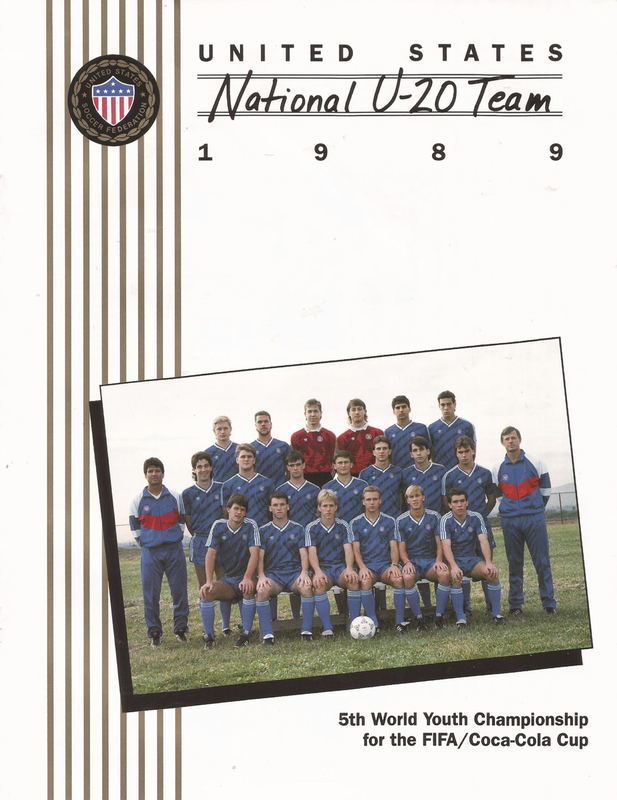 1989 was a historic year for US soccer. Not only would the senior team return to the World Cup stage for the first time since 1950, but the U20s quietly had the best performance of any team before or since. 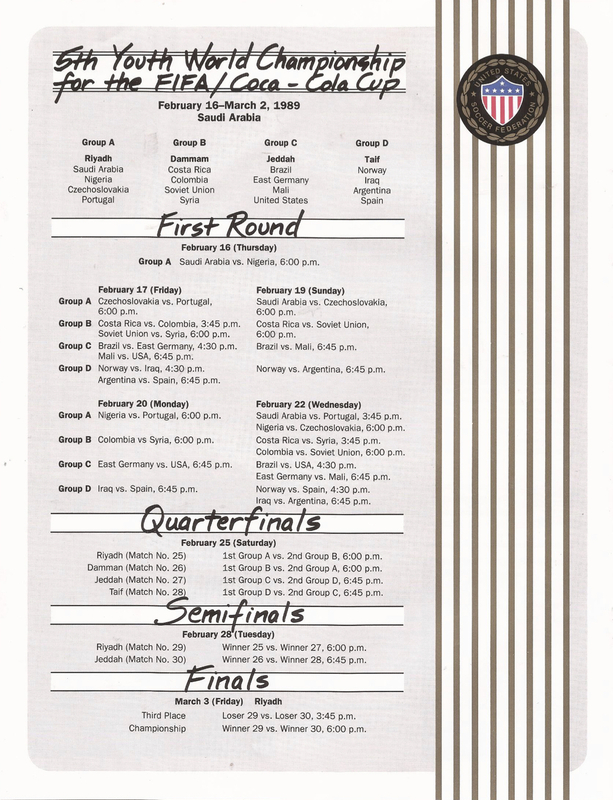 The 1989 tournament saw the US finish fourth, losing to Nigeria in the knockout stage in overtime. 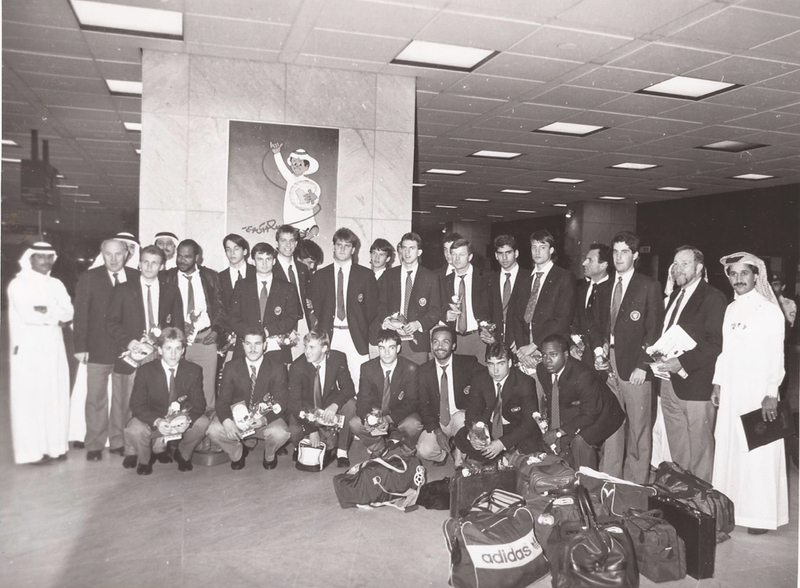 However, the trip to the U20 World Cup began in bizarre fashion. Originally the American team did not qualify for the tournament, losing out to Costa Rica and Mexico. Soon after, rumors of Mexico using overage players during qualifying began to surface. 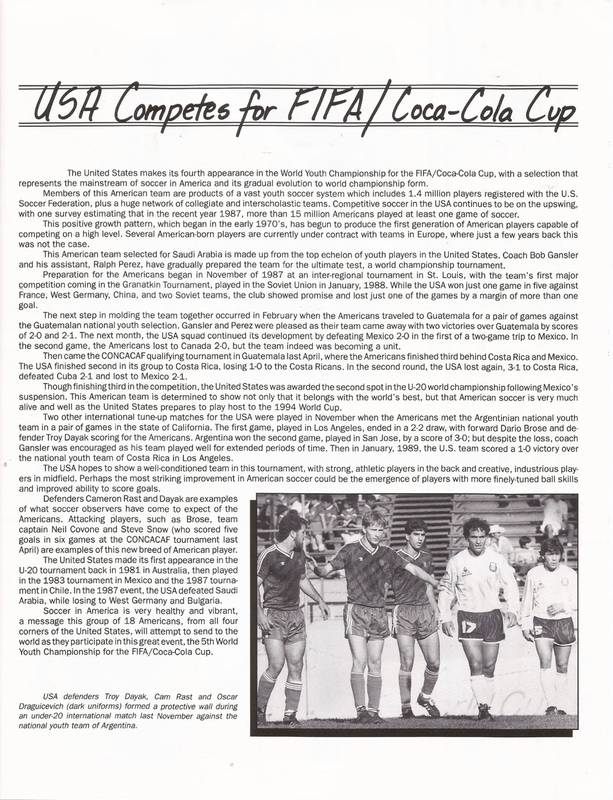 FIFA came down heavy on Mexico, banning them from the U20 World Cup as well as the senior World Cup in 1990. (More on the scandal can be read here.) With Mexico removed, the third place team, USA, would take Mexico's place at the tournament in Saudi Arabia. 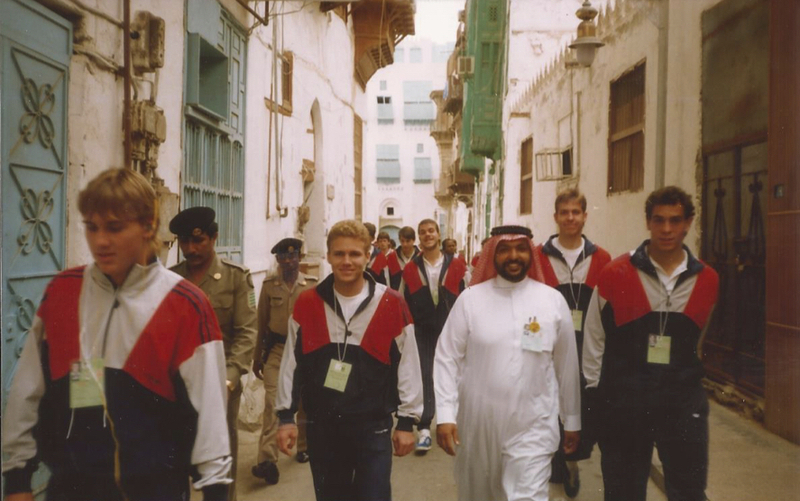 The two goalkeepers that travelled to Saudi Arabia would be future USMNT goalkeeper Kasey Keller and Markus Roy, who was a freshman at Northern Illinois at the time. Markus recounts memories from the World Cup, now seventeen years ago this February. Scroll down to the bottom to see memorabilia and photos that Markus did a great of job of holding on to from the tournament. What was the qualifying process like, after initially not qualifying then hearing that you would be going to the U20 World Cup? At the time, [qualifying] was in Guatemala. We trained in Mexico for some training and some friendly games. It was against Canada and... I’m trying to think... I want to say it was for a week, before qualifications, just to get used to the altitude and this and that. I think at that time either Coach [Bob] Gansler or Coach Perez, I’m assuming it was Coach Gansler, had the Mexican pro league’s big manual of all the teams and photos and players. It was a good scouting tool for Coach Gansler at the time and we didn’t think anything of it but he was looking at the players because it was basically a free, you know. 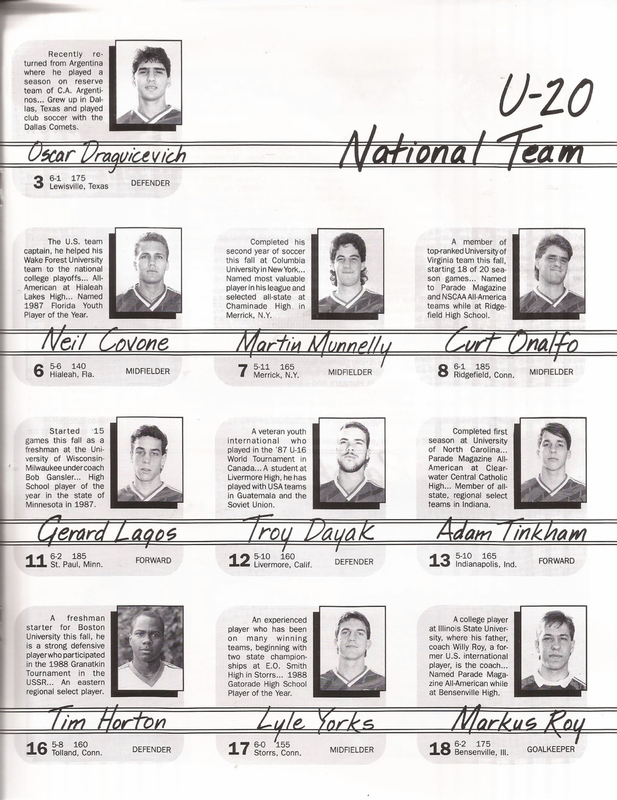 You could look at all the players and what teams they played for and it gave their real age. So I think Coach Gansler used that to his advantage. I’m not sure what time of year that was or when that happened but I don’t think we thought anything of it. We got a call - I’m not sure how much longer after the qualifying round - that said, “Get ready to go. We’re going to qualify.” So it was pretty exciting obviously for the players from not qualifying to having a team disqualified for using ineligible players. What was your time like playing with Kasey Keller? What was preparations for the World Cup like? Well I think it’s probably different now than it was, with all the academies. It’s more year round now. We were always brought together for a couple weeks here, a couple weeks there. And the club soccer was probably different back then for us as well. It wasn’t as developed as the academies are now. Plus a majority of our players, if not all, were collegiate players, playing three-four months out of the year. 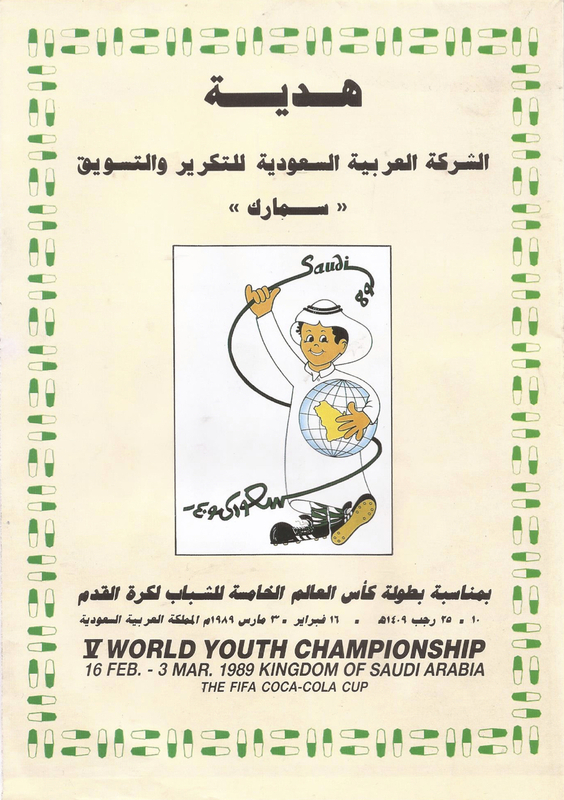 And February was in our off-season, the [time of the U20] World Cup. So we were not “in season” per se. We were in condition and in shape but I don’t think it’s like it is nowadays. They would fly us in two-three days before and, if I’m remembering, in Saudi Arabia we came in a week before, maybe even longer than that. It wasn’t like we were there for 2-3 weeks, or a month like some teams are now. I think Bob Gansler was excellent in scouting the opponents, really finding their strengths and weaknesses. And our team knew specifically what their roles were. It was amazing what the players did from Kasey Keller through the defenders, and the rest of the team. I don’t think there were that many superstars on the team at the time. Did the team expect to get out of the group and progress as far as you did or was it somewhat surprising ending up in the fourth place game? Probably a little bit of both. Because now you see players on social media. There’s all this video on anyone on YouTube. I can Google a kid on the U20 team for Brazil and find it or whatever. At the time, we were just focused on being away for a month and we didn’t really know otherwise. And I thought the guys did a tremendous job. I think one of the biggest games was when we beat the East Germans, which that was a huge upset. And I know our expectations against Brazil were, you know, we didn’t think they were world beaters but obviously a different side than us. Playing against Iraq was more of a political thing where, at the time, we were still pretty young but politically um… I’m trying to think of something to say *laughs* It’s Iraq versus USA. It doesn’t happen very often in any sport. So I think at the time with the world struggles, it was a big thing for their country as well for the US. Not many highlights have survived the 1989 World Cup. This is the only one involving the US. USA reached the semifinal game, where they lost in overtime to Nigeria 2-1. What do you remember from the last knockout game? They were in a lot of youth World Cups and have done real well over the years and they always do real well, the young Nigerian teams. From what I remember from the game, we put everything on the field. 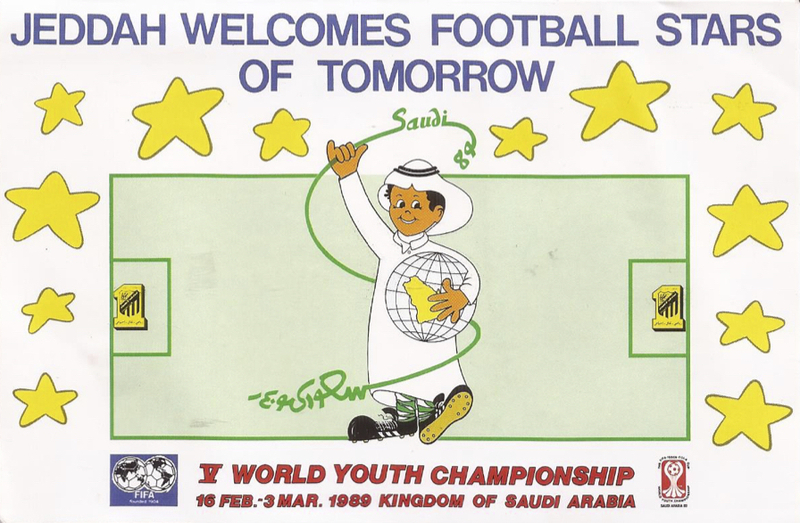 All those weeks in Saudi Arabia, we left it on the field. Our tanks were empty and we did the best we could. It was an overtime game and could have gone either way. I think, maybe, they were bigger than us, stronger than us, but we were in the game the whole time. I just think our tanks were empty, which wasn’t a bad thing. How long did the buzz last when you came back to the US? You know, it’s unfortunate at the time that there wasn’t any social media, nothing. So it died pretty quickly but you heard it in some soccer rooms. Even today you hear once in awhile, you know, “the best finish for the US was this team” and I’ll think, “yeah I was on that team!” But you don’t hear a lot of it. It’s unfortunate because if the league was around, MLS, when we were playing, I think a few more players, could have made it to the next level and may have gotten a little more recognition. A few guys did a great job in their club careers, Keller obviously being the top player. I think the buzz is still around for the players who are on the [current U20] team but it’s not so much for anyone else [that played on previous U20 teams], which is fine. Soccer has changed so much. I don’t think there was as much pressure for us to win. I think that’s why one reason we did so well is because we came in as unknown college players. And now the U20 teams, a lot of them are professionals. So it’s a lot different now for Tab Ramos. It’s good and it’s bad but that’s the way soccer has changed around here in the US. Looking at the pictures, you’re in most of them. Who was taking the pictures? 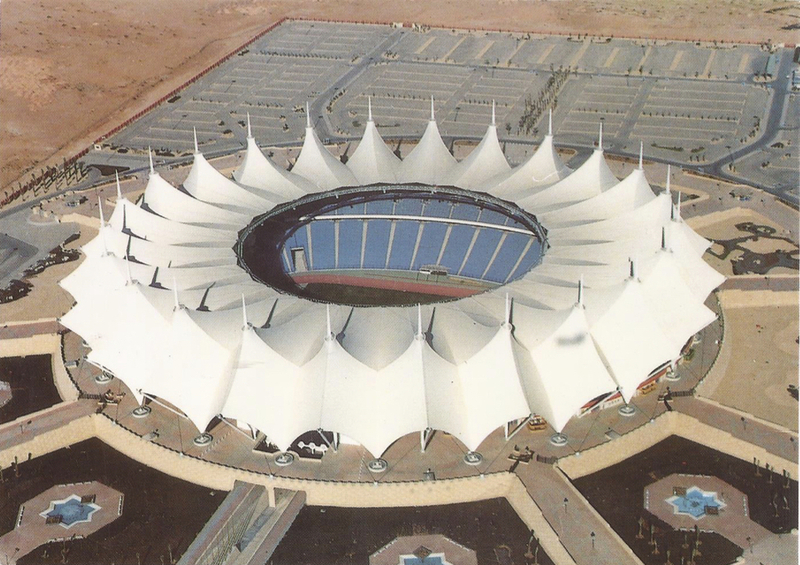 The pictures of the stadium, which one is that? Is that the one that kind of looks like a tent? Yeah, there’s an aerial view and one from inside, which is the same one, I’m pretty sure. Yeah, that was the third place game. 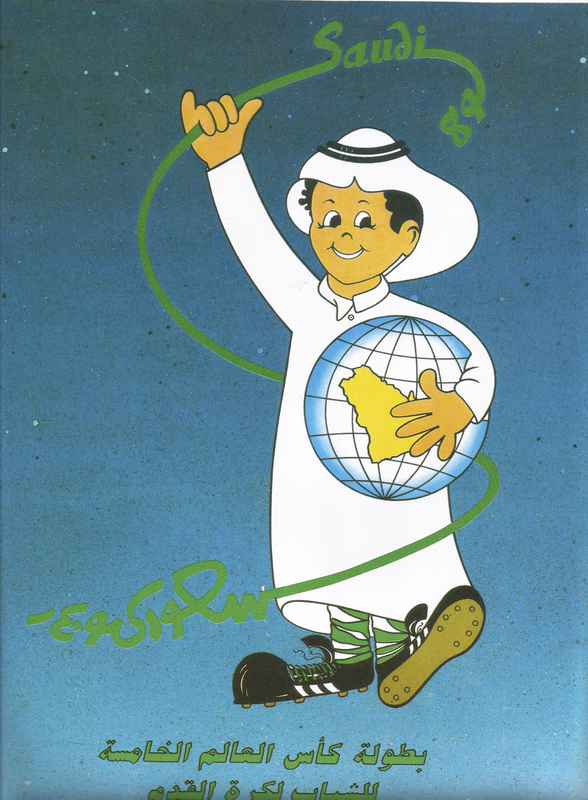 That was in, I think, Riyadh. 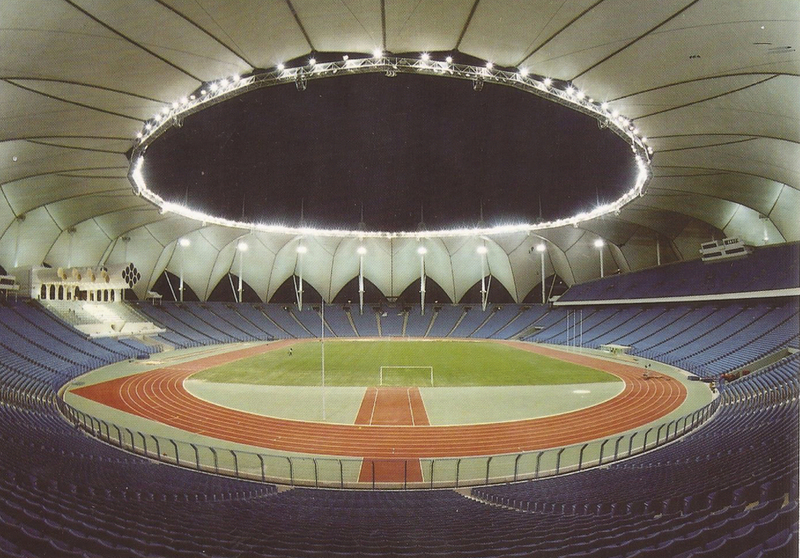 They had the final at that stadium. 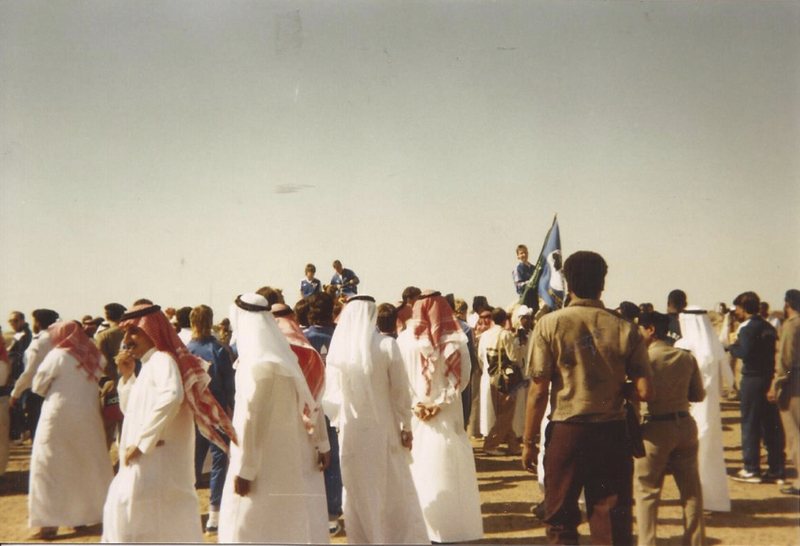 Tell me about the one with the camel and you’re holding some flags. What’s going on there? That was one of the days we had off and I want to say that was taken by one of the players. I think we all had a chance to ride on the camel. We were away with a couple guys and the people over there in Saudi Arabia, you know, we’re tourists and foreigners, so they’d let us get on the camel for free but to get off the camel you’d have to pay some money. So they kind of suckered us out for that. We got off the camel and the guy was yelling at us but we’re walking away to the bus saying, “We’re done. We’re not paying you. We didn’t know how this worked. We weren’t looking to get scammed for a couple bucks.” But that’s what happened on that one. Where are you in the picture where there’s water behind you and, I think, a flag pole? I think that’s got to be uh… oh man, I want to say… I think it’s the Red Sea. One of those seas that we took a walk and it was a nice day and I remember even that day as well that it rained and it never rains there. Like when we have a snow day in Chicago, kids don’t go to school here but when it rains outside [in Saudi Arabia] they let the kids go home to go play in the rain. You can see the clouds in the sky there, which doesn’t happen a lot, I guess. We did a lot of that stuff. We didn’t go out a lot during the day because it was so hot. But that day was overcast a bit and not so hot. 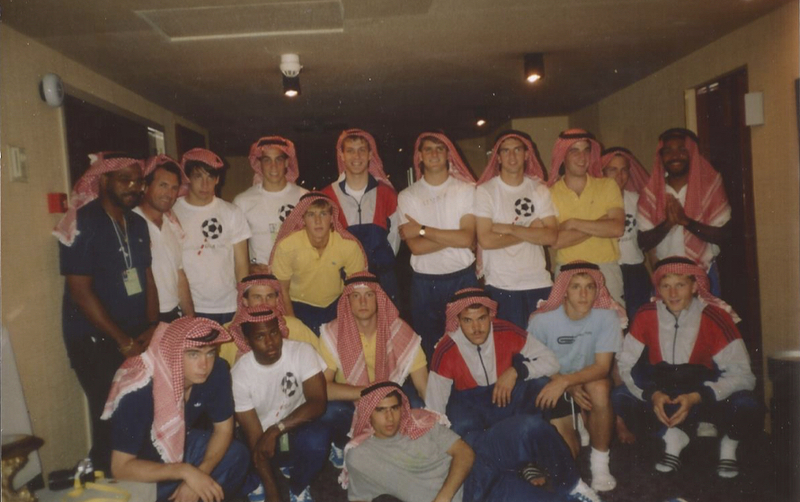 There’s another one where you all have an Arab headdress on. What was the reason for the photo there? So that was at the hotel. We played in two or three different cities and every city we got a little gift bag or something from that area. And that’s one of those headdresses. From what I remember, they were worn for a couple reasons. I think there were religious reasons but also the headdress just basically kept their bodies cool. But I thought it was pretty hot to wear. I think it was made from cotton or something. But yeah we wore that kind of stuff in the hotel and the guys in the photo thought that was pretty funny. 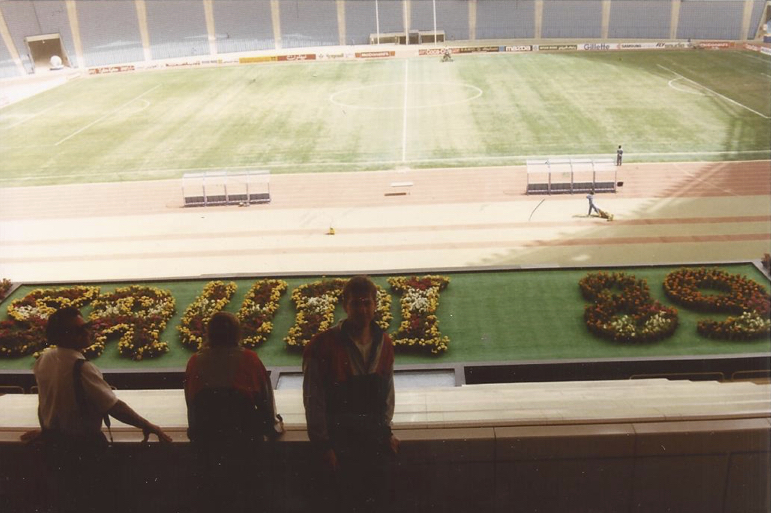 The pictures below are scans of memorabilia and photos taken by the U20 backup goalkeeper Markus Roy. For questions, you can email me at everybodysoccer@yahoo.com or tweet at @letsallsoccer.